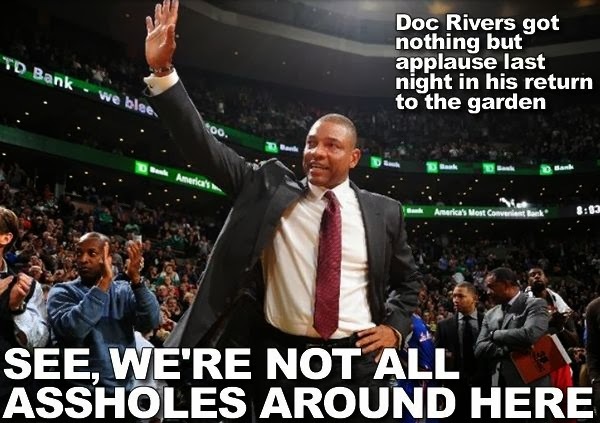 Masshole Sports: VIDEO: Doc Rivers Returned To The Garden Last Night And Not One Person Booed. Good Move, Massholes. Good Move. VIDEO: Doc Rivers Returned To The Garden Last Night And Not One Person Booed. 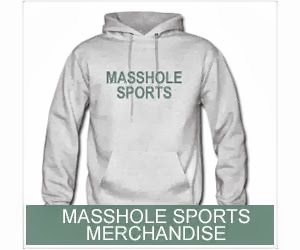 Good Move, Massholes. Good Move. If Doc Rivers had got booed, I would have been pissed. Sure, the guy walked away from his contract but he accomplished a lot here and if he didnt want to stick around for the tanking, well he he earned that right to walk away.